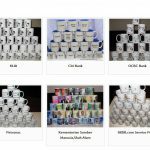 When it comes to customizing a mug, be it for a gift, promotional item, or just a personal item, there are several different methods that people can use. 3 most popular methods are screen printing, laser engraving, and sublimation process. The sublimation process is very simple, thus it becomes more popular for small business. It allows your design to be full colour with detail artwork. The design is permanently printed on your mug without to worry about peeling or scratch off. The materials you need to personalize your mugs are coated sublimation mugs, sublimation paper, high-temperature tape and heat press. Once your artwork is ready, it is printed onto sublimation paper using sublimation ink. After printing, you can cut the excess paper for easy application. You will then ready to begin the transfer process. To transfer the design to the mug, centered your artwork on the coated sublimation mug, holding it in place with heat-resistant tape. Once centered and taped, it is ready to go into the heat press. Clamped into the machine, the mug is then heated to intense temperatures for estimate 3 minutes. When heated to such temperatures, the sublimation inks become gas-like, which is then absorbed into the pores of the coated mug. After the heating process, the mugs are taken out of the machine, the heat-resistant tape and paper are removed. Due to the ink being fused into the mug, it is a permanent customization that will withstand wear and tear of years to come. The result of sublimation mug printing is what is truly breathtaking. 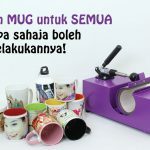 Most commonly used for photo mugs, the outcome is a glossy picture-like personalization. 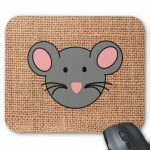 The process allows for full-colour artwork with extreme detail, making it popular among high-end companies as well that are looking for promotional items able to display their multi-colour logos. 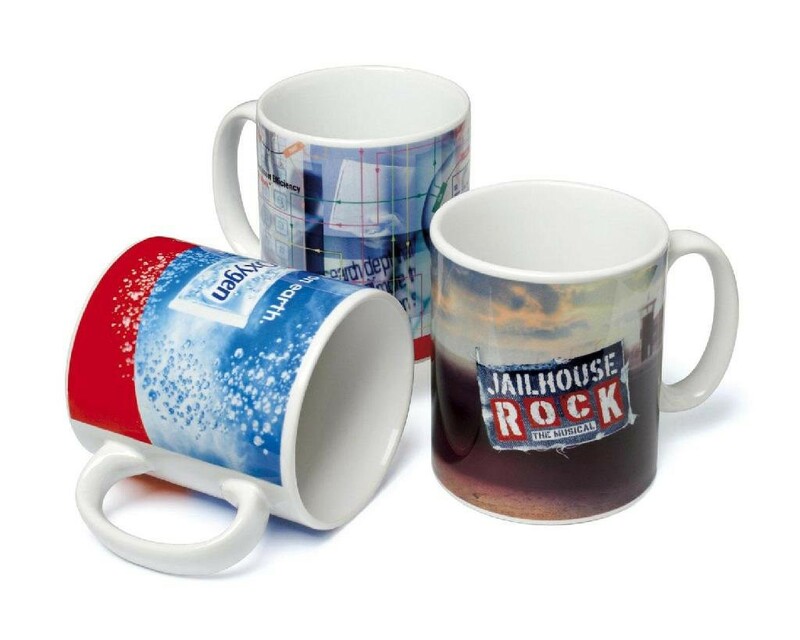 The material needed to create your own sublimation mugs can be found at any printing supplier. 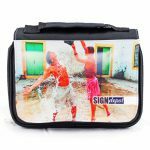 We DIYPrintingSupply.com are the Sublimation experts! 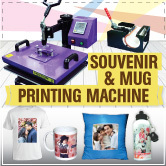 We offer you tools and material varieties for mug printing. 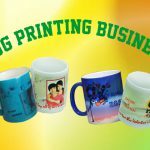 Our sublimation mugs vary from White Mugs, Colour Mugs, Glass Mugs, Sparkling Mugs, Magic Mugs, Polymer Mug and even Beer Mugs. Shop today to get the lowest prices guaranteed! A Unique Bag for Gift !